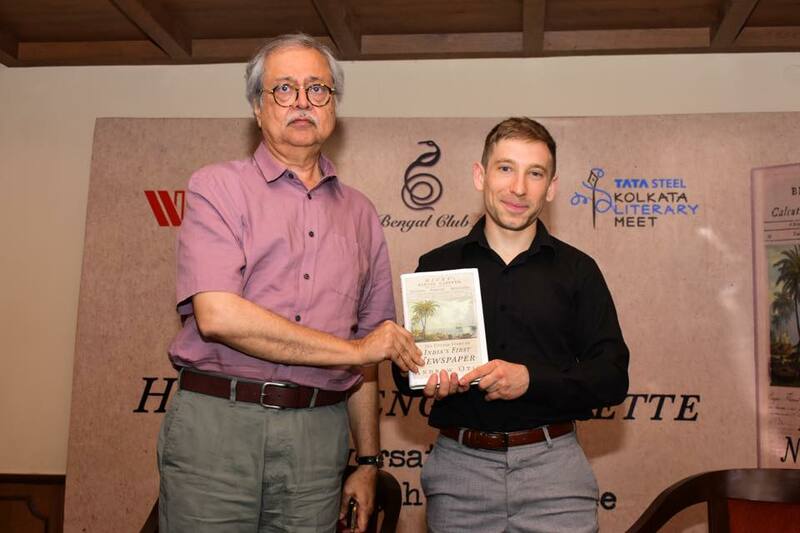 Akshay Chavan of Live History India reviewed my book and interviewed me (apologies for the low quality copy-original in the link). An op-ed I wrote for the BBC (apologies for the low quality copy-original in the link). 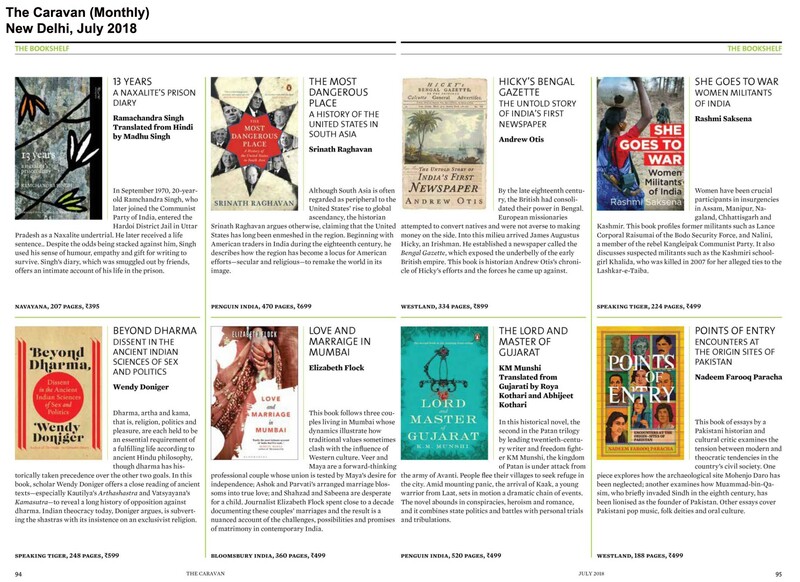 Paramita Ghosh of the Hindustan Times reviewed my book in their September 1 paper (page 8). 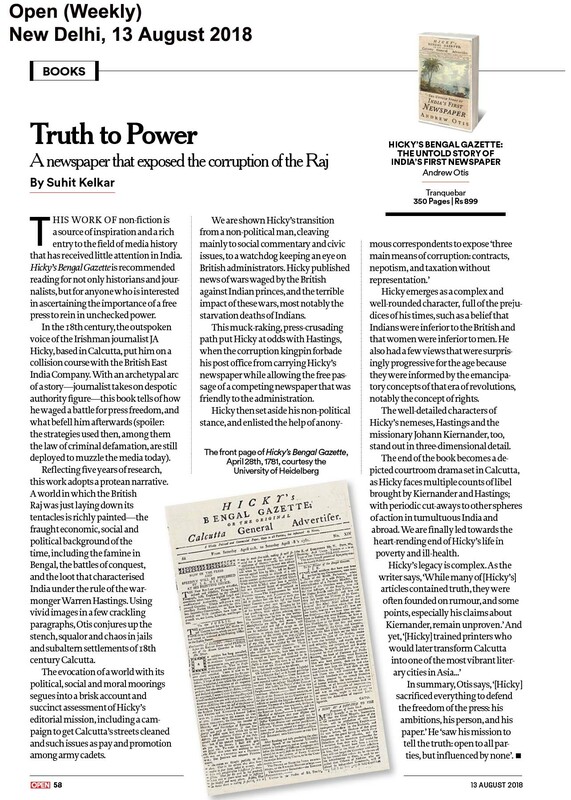 I wrote an op-ed for Reader’s Digest which was featured in their August edition. Open Magazine reviewed my book. The Asian Review of Books reviewed my book. R. Prasannan of The Week reviewed my book. Ei Somoy interviewed me at the American Center, Kolkata. 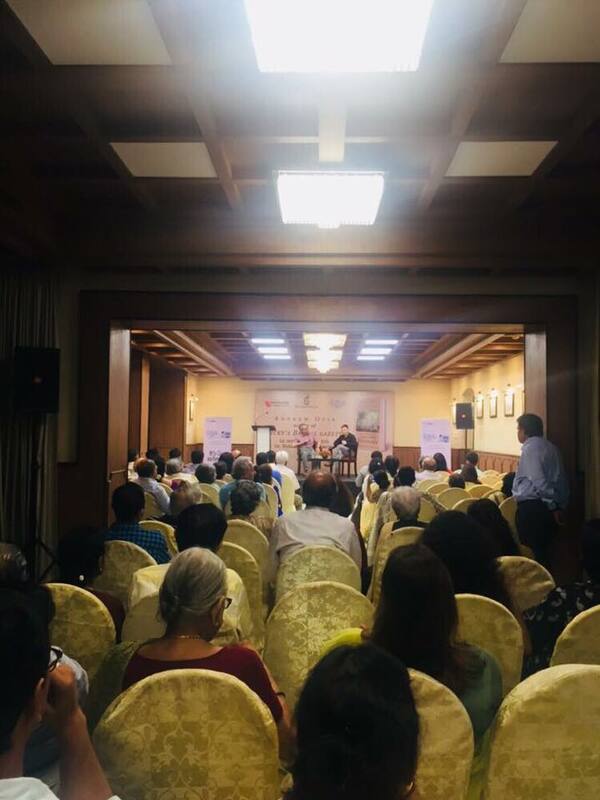 UNI, the Indian equivalent of the Associated Press, interviewed me at the American Center, Kolkata. 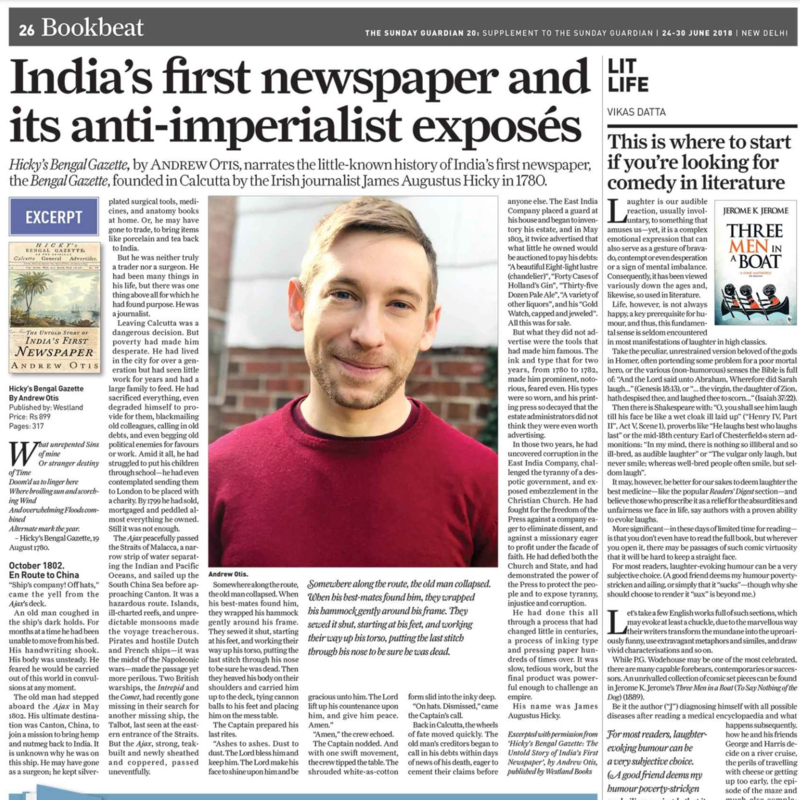 The Telegraph featured my talk last Friday at the American Center, Kolkata, in their Metro section (page 9). 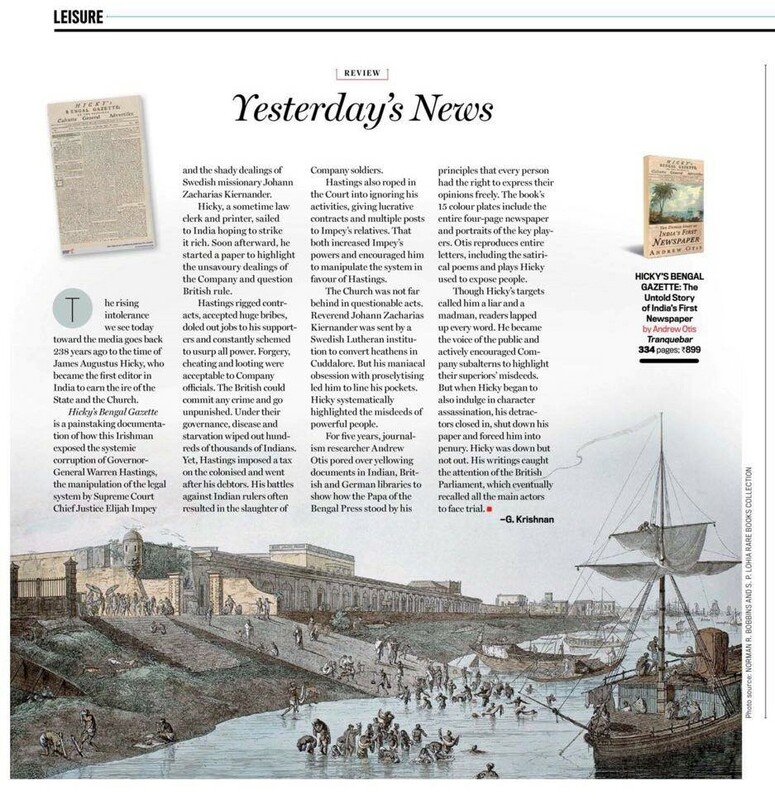 The South China Morning Post, Hong Kong’s leading English newspaper and paper of record, reviewed my book. A wonderful review of my book in the Business Standard, by Devangshu Datta. 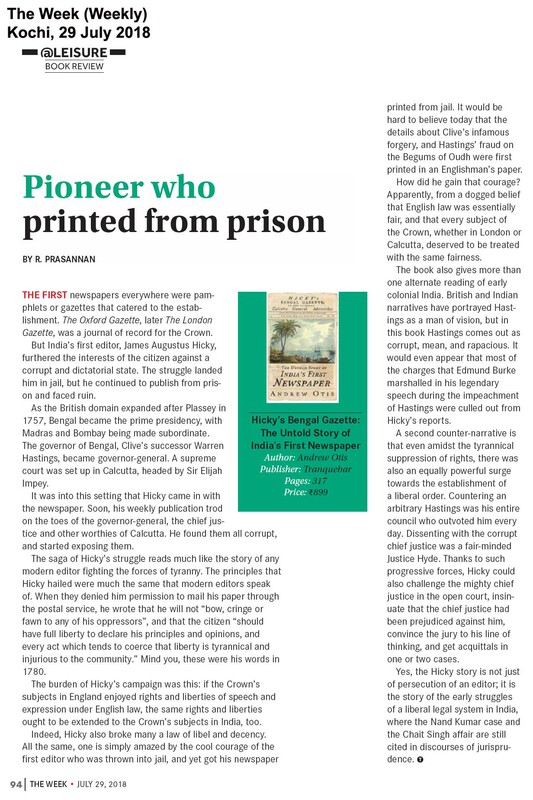 My book has been recommended by The Caravan Magazine in their July 2018 edition, on page 95.
Business Standard newspaper published a glowing review of my book Hicky’s Bengal Gazette: The Untold Story of India’s First Newspaper. 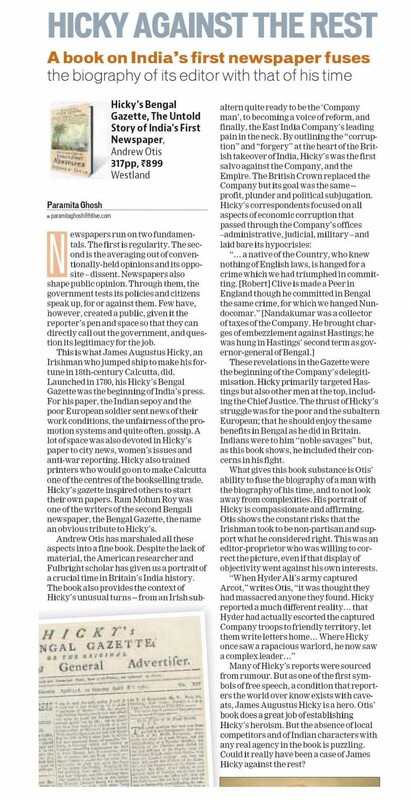 G. Krishnan of India Today published a review of my book Hicky’s Bengal Gazette: The Untold Story of India’s First Newspaper. 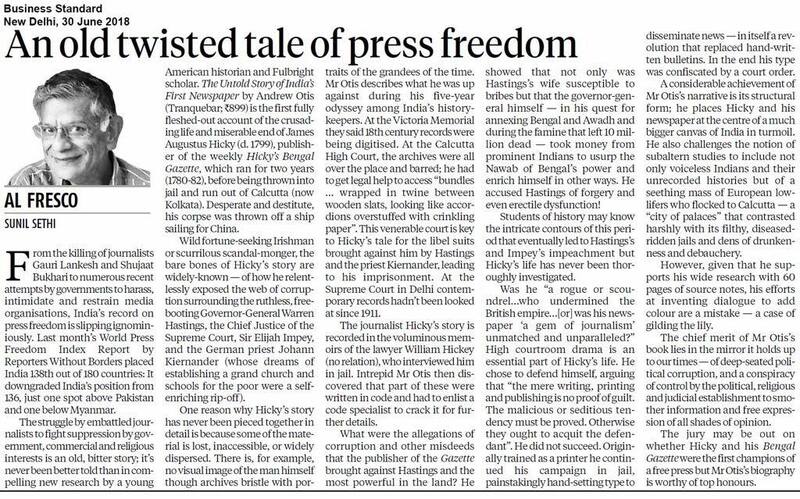 The Sunday Guardian published an excerpt from the prologue of my book Hicky’s Bengal Gazette: The Untold Story of India’s First Newspaper. 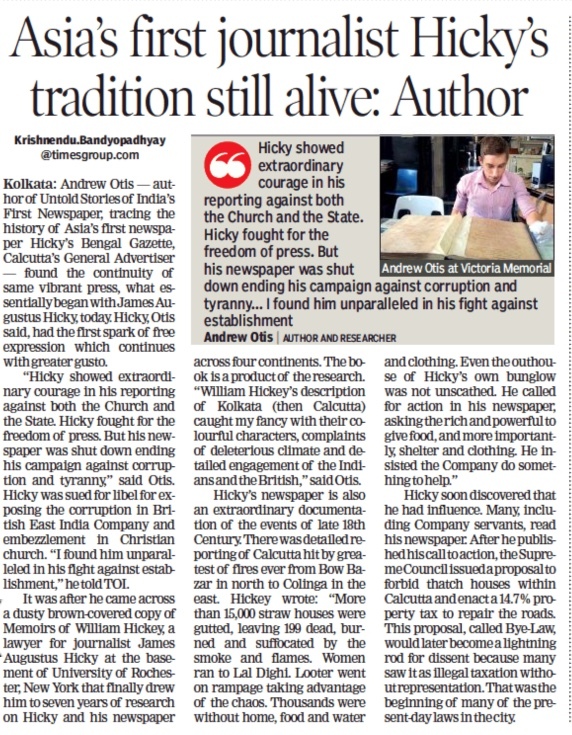 The Times of India interviewed me about my book Hicky’s Bengal Gazette: The Untold Story of India’s First Newspaper. 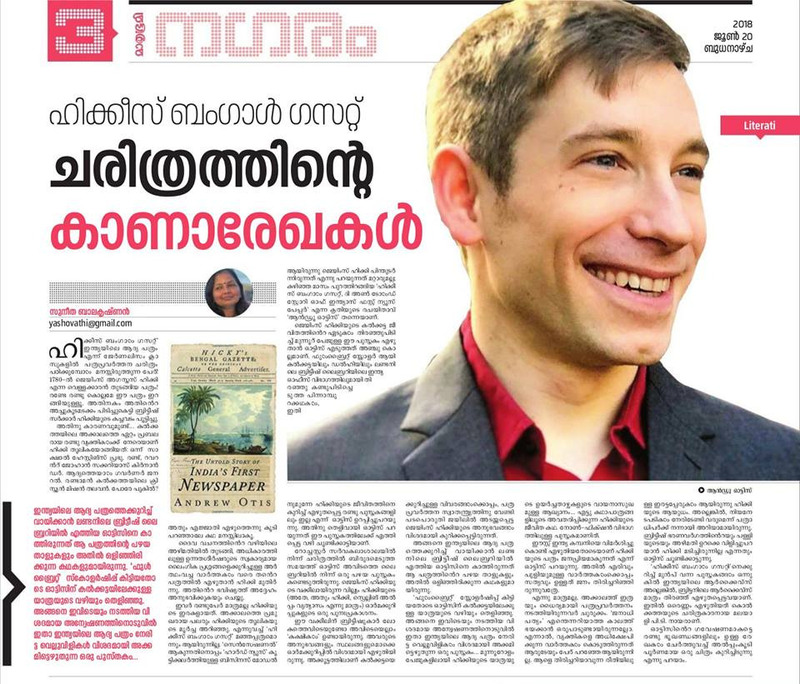 Mathrubhumi, the second most widely read newspaper daily in Kerala, published an article on my book Hicky’s Bengal Gazette: The Untold Story of India’s First Newspaper.